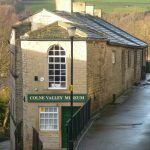 Colne Valley Museum, a Grade 11 listed building, is housed in four cottages built in the 1840s by a family of independent cloth manufacturers, the Pearsons, whose relatives still live in Golcar today. 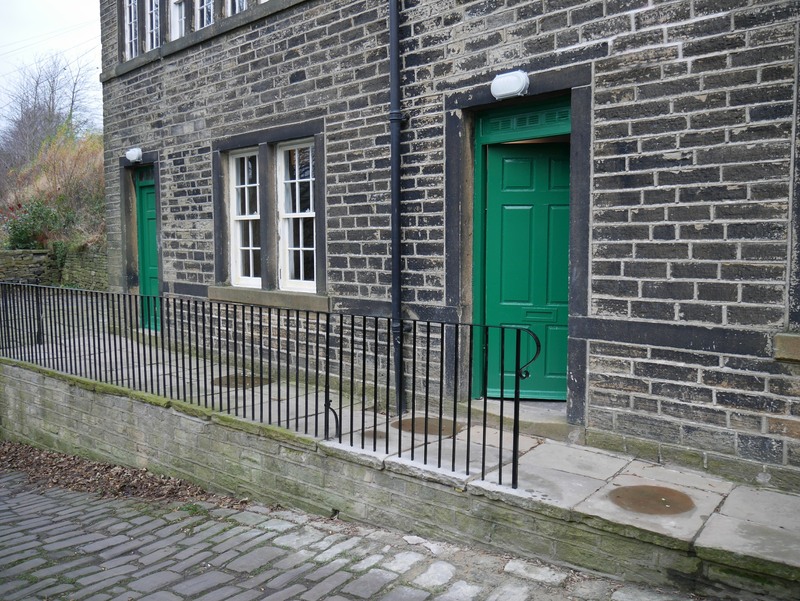 These weavers’ cottages, named ‘Spring Rock’ by James and Sally Pearson, were built into the steep hillside, having the traditional entrance for the lower rooms, like our modern front doors, and an entrance to the top floor at the rear of the cottages. Access to the top floor, from the rear of the museum, is at ground level. Here the doors are wide, allowing the heavy weaving equipment to be moved in or out easily. The top floor workshop originally had no access from the lower floor, but stairs were added at a later date. In 1851, James and Sally Pearson lived in no.22, together with five unmarried children: Mary (34), Benjamin (29), Emma (27), John (20) and Joseph (17). One married son, Edwin (31), lived in no.26. All the children were hand-loom weavers, but later became power-loom weavers. 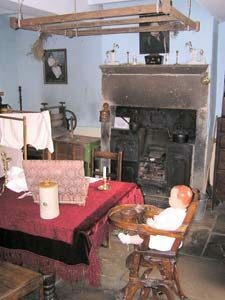 The other two cottages were occupied by relatives ofJames and Sally. Henry Pearson, who lived at Spring Rock in 1861. In 1861, John and Edwin, sons of James and Sally, were living at Spring Rock with their families. 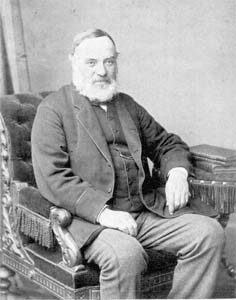 Another resident was Henry Pearson, the grand nephew of James and Sally Pearson, with his wife Hannah and their seven children. 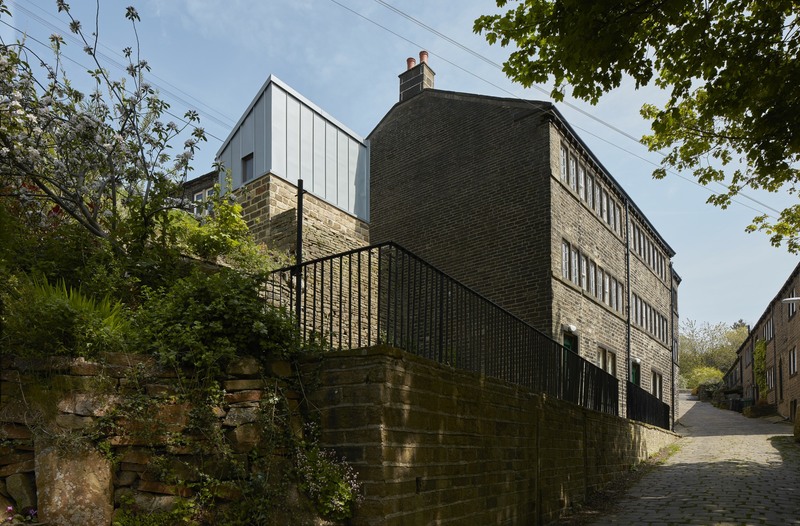 He was a composer, organist and teacher of music, and he named Handel Street, Golcar, after his favourite composer. Victoria Mill in 1905. 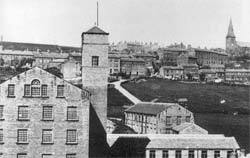 You can see Golcar Church on the right, and the weavers’ cottages that today house the Colne Valley Museum midway between the tower of the mill and the church spire. 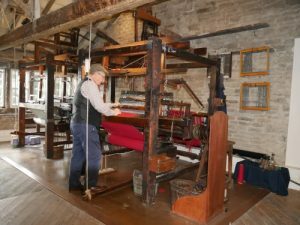 James Pearson’s son, John, remained in the textile industry and made an unusually good living out of it. He managed to buy a part share in Victoria Mill and, by the close of the century, his four sons jointly owned the whole mill. 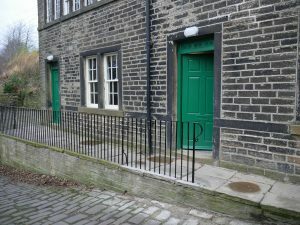 Following the death of James Pearson, Spring Rock continued as a family home until 1910, when the end cottage was taken over by the Golcar Socialist Club. Sally Pearson’s living room, with a cast iron range and oat flake. When the club moved to bigger premises in the 1960s, the building remained empty until 1970, when it was generously given to be used as a museum. 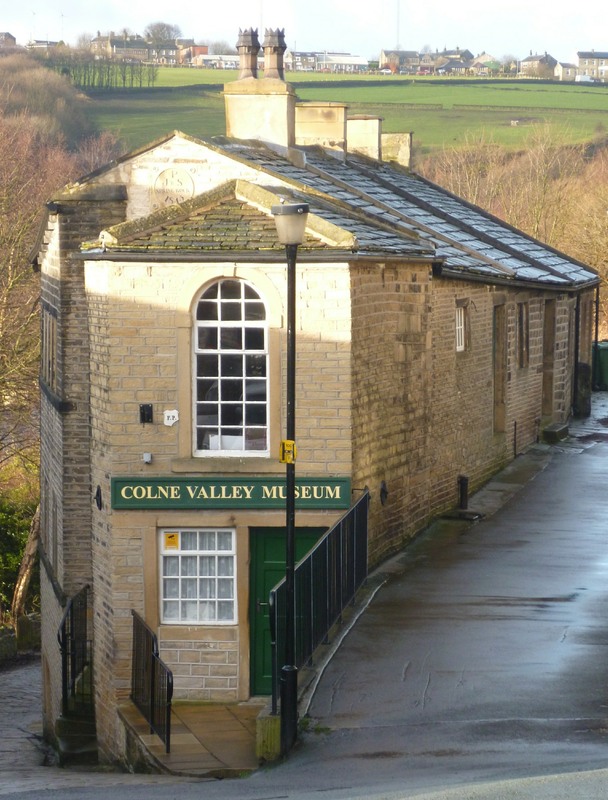 From this, the Colne Valley Museum was formed, and the two adjacent cottages were acquired, one being kindly donated by the Yeadon family. 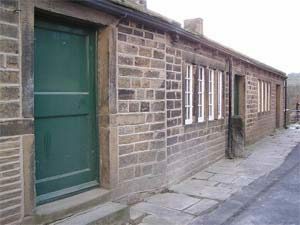 The three cottages housed the museum for many years. The top cottage and adjoining shop were purchased in 2008. 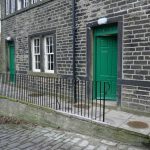 The ground floor of these two buildings were incorporated into the main Museum, forming a new entrance, Museum shop and Spring Rock Tea Rooms. 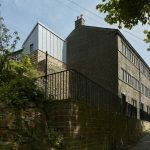 In 2014, our ‘Realising the Dream’ project began – funded mostly by the Heritage Lottery Fund – and allowed us to recreate a complete weaver’s cottage where James and Sally Pearson may have lived, with a living kitchen, a period bedroom and the loom chamber above where the family earned a living.